The pickleball crew at Evergreen Racquet Club in Bloomington. Two or four players use solid paddles made of wood or composite materials to hit a perforated polymer ball, similar to a Wiffle Ball, over a net. What’s the fastest growing participation sport in America? Pat yourself on the back if you said pickleball. GLT correspondent Willis Kern has more with one of the country’s top pickleball players, who visited Bloomington-Normal recently. To learn more about the growing sport of Pickleball, search for Bloomington-Normal Pickleball on Facebook, or visit the Evergreen Racquet Club website. Suan Guess-Hanson has never used a wheelchair, but the retired Metcalf School teacher worked with many children who did, so she naturally wants to see people with disabilities succeed in all facets of life, including sports. The University of Illinois will start selling beer in general seating areas at Memorial Stadium and State Farm Center this fall. This baseball season marks 100 years since what may be the darkest moment in the history of our national pastime. 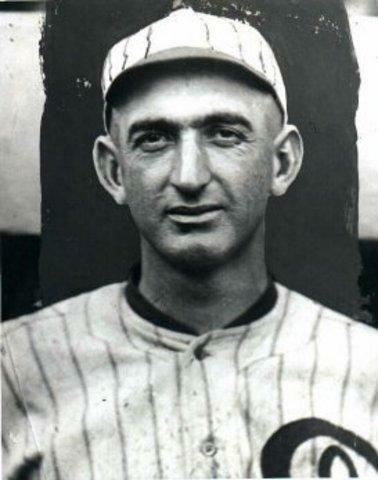 Some members of the Chicago White Sox, including the great Shoeless Joe Jackson, threw the World Series. The story has become well known through a book, and later a movie titled “Eight Men Out”, named for the number of players later banned from baseball for their roles in the gambling scheme. But does that story match reality? New research sheds light on what took place -- and what didn’t.